The cover illustration is the Market Square, Lisburn, 1830, drawn by J. H. Burgess. A period of some two years has elapsed since the publication of the antecedent volume of the Historical Society's Journal. During this time the Society has continued to strive to discover and collate sources of local historical knowledge and disseminate this, both in the form of lectures and written articles, some of which are printed in the following -pages. 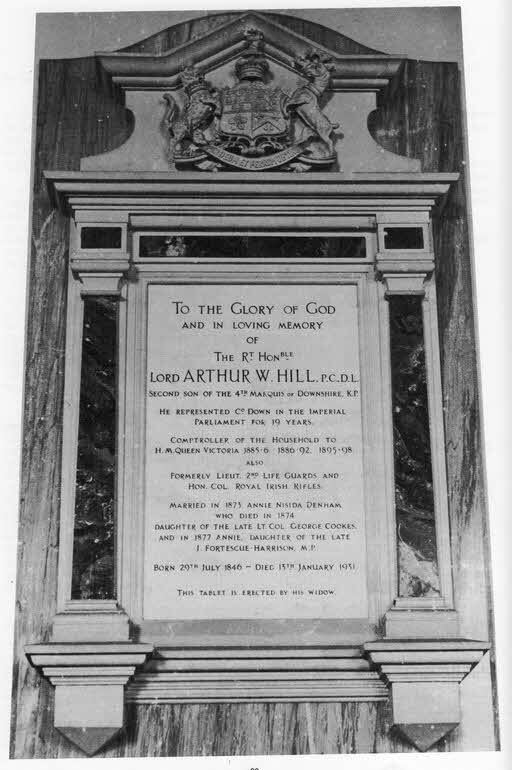 Examples of the former case include a lecture on changes and developments in agriculture which took place in South West Antrim in the eighteenth and nineteenth centuries, a topic so interesting and intense as to warrant a follow-up lecture by Miss H. Frey in the current programme of the Society. The processes involved in the production of linen, a subject of immediate relevance to the Lisburn area, were described in fascinating detail by Miss A. L'Amie, while Dr. J.W. McConaghy approached he subject from a more social angle when he admirably illuminated the life and times of Thomas Greer, a linen draper in the late eighteenth century. Business interests may have tended to predominate but politics were not forgotten, for Mr. J. F. Burns, a contributor to this journal, described the course of Lisburn politics in the nineteenth century. These lectures by no means represent the total of those read to the society in even the past year but they serve to indicate the diversity of interesting themes and personalities which may be included in any attempt to gain a greater understanding of the local history of the Lisburn area at least. The current season of lectures seeks to continue his trend by describing the lives of such well known personages as Sir George Rawdon, and Harry Ferguson and somewhat lesser known people as Lindsay Crawford and the Dubourdieus, a Huguenot family. History, however, may be recorded in many forms and one means of presentation which is frequently overlooked or underused is the pictorial. The Society is thus gratified to be able to show the documentary film "Man of Arran", a glimpse into life on the Arran Islands some fifty years ago. The Committee of the Society hope that the following articles will Provide a source of interest and edification to the reader and y prompt further study of the almost limitless field of local history. The Committee of the Historical Society wish to thank The Lisburn s Advisory Council whose continued support is greatly appreciated and to those who have contributed to the journal. In particular the efforts of the editorial sub-committee - Mr. F. Rankin, Mr. I. Cameron and especially Mr. T. Neill, are gratefully acknowledged. Special mention must also be made of Mrs. J. Neill who diligently and patiently undertook the considerable task of typing the manuscripts for publication. 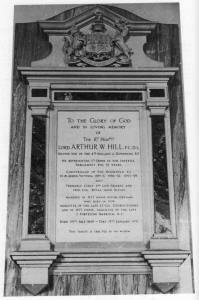 Memorial to Lord Arthur W. Hill. P. C. D. L.